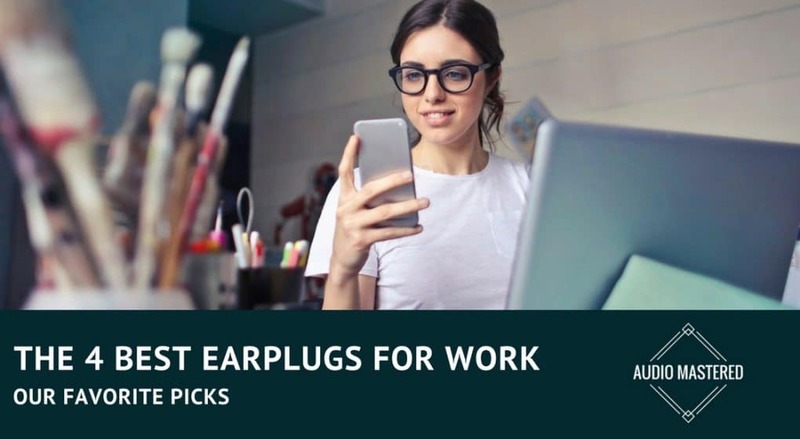 / What Are The Best Earplugs for Work? Noisy workplaces can wreak havoc on your ears, and may even leave you facing serious consequences. Maybe you work in construction, or in live audio – where you’re constantly exposed to music or noise at high sound pressure levels. Hearing damage is a cumulative issue that emerges over time. Often it’s detected only once the damage is done. Or, maybe your situation is a little more subtle. 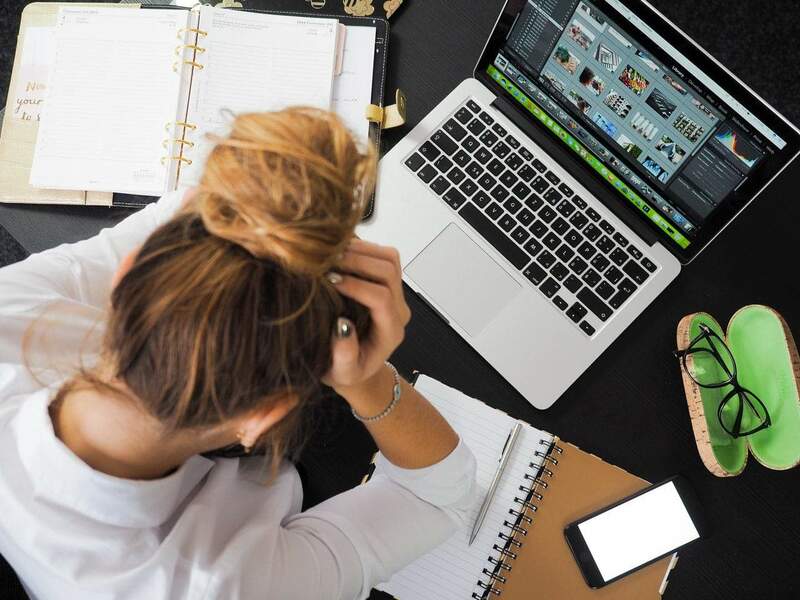 Perhaps you work in an office setting where you need quiet and focus, but your annoying, overly extroverted colleagues won’t shut up, not even for a second? Whatever the case, this list will cover all the possibilities and recommend the best of the best earplugs for you. There are many different kinds of earplugs available, that are suitable in different contexts, for all kinds of situations. It can be a little overwhelming knowing what to look for, but with a little insight, the process becomes fairly simple. Everyone has a uniquely shaped ear canal, some people have more narrow ear canals, making it difficult to insert earplugs, or they may experience discomfort. Others may have a wider canal, and certain types of earplugs simply fall out. 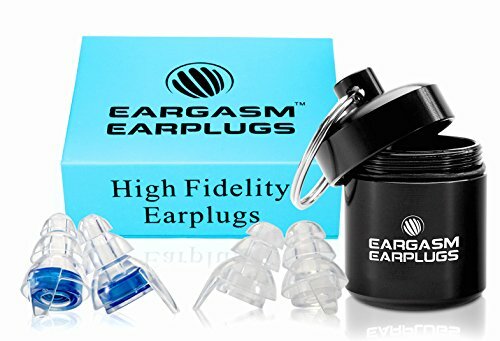 Thankfully, these unique differences are all catered to with many different kinds of earplugs available. All earplugs have a standardized rating indicating their efficacy, called Noise Reduction Rating (NRR). However, simply buying the earplugs with the highest NRR is not always necessarily desirable. 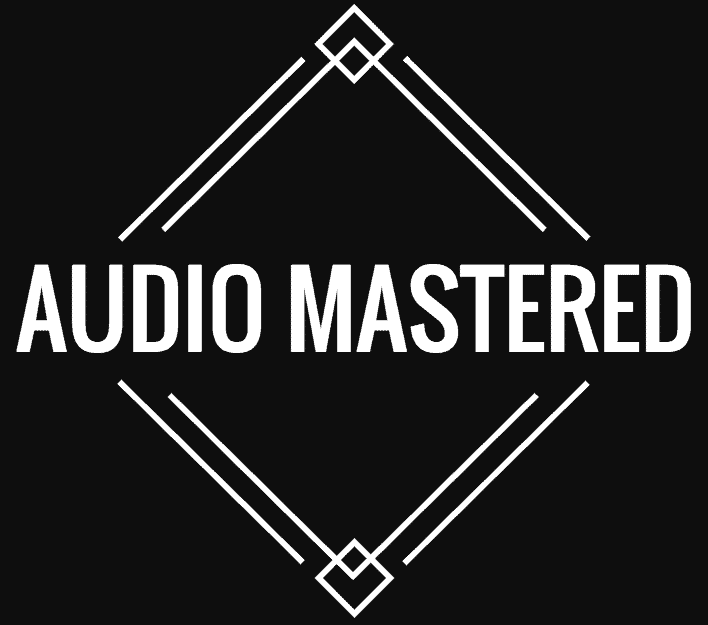 For example, if you work in live sound or an environment where you still need the ability to hear, but you need to reduce the volume – you may still want to retain the clarity, while reducing some of the noise. Noise reduction and clarity are the two main factors that are played against each other in earplug design. The greater the noise reduction, generally the clarity is reduced, and vice versa. Some earplugs are designed to be disposable, coming in jars with many pairs. While others are created to last over the long-term requiring regular cleaning. Among the disposable ones, there will be some that are more durable and resistant to wear and tear than others – allowing you to get a few good uses out of them before needing a fresh pair. To give you some perspective – the highest NRR available is 33, which is exactly what these babies are. For such a high noise reduction level, the comfort level and durability is pretty impressive. These are tapered at the ends with a long design to make insertion and fitting easy. They’re made of soft, durable PVC free foam, with a smooth, non-irritating surface. There are many positive reviews online for these earplugs, affirming the comfort and efficiency level. They’re designed to be incredibly durable, with each pair lasting multiple uses. So a box of these will last you a very long time! A box of 200 is offered at a very reasonable price for the quality. 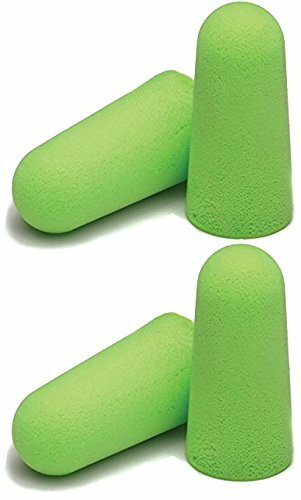 These are great quality earplugs that will do an excellent job of reducing noise, while fitting snug in your ear. You can also get these as individually wrapped pairs – meaning you can take a pair with you on the go, or even leave a spare in your car or bag. These plugs use attenuation filters to reduce noise evenly, maintaining clarity in sound while reducing the level. They have a lower NRR than other models shown here, however, this is intentionally part of the design. The package comes with 2 sizes, so you can choose which suits you best. These are going to be fantastic earplugs for those that have sensitive ears or experience pain from pressure buildup. They’re made from hypoallergenic soft silicone, which won’t itch or cause discomfort from use. These will be perfect for anyone who needs to retain the clarity of sound in their environment whilst reducing noise levels. They come with an aluminum case and a key-chain so you can always take them with you! With an NRR of 33, these are among the best in noise reduction for disposable earplugs. These will be excellent for those working in farming, construction and many other sectors. Made of polyurethane foam, these are designed to be extremely comfortable for long periods of wear – an 8 hour work day is a long stretch. If you need earplugs for that long, you’ll want them to be comfortable. The soft foam allows you to compress them before inserting them into the ear canal, after which they will expand and settle into the natural contours and shape of your ear. The foam contains a soil-resistant closed cell skin to help minimize dirt build up. They feature consistently positive online reviews and offer 100, individually wrapped pairs at a reasonable price. This should last you a while as you’ll get a few uses out of one pair. These earplugs are on another level. This company clearly take comfort and quality seriously! Made in the USA, these earplugs are made to mold perfectly to the contours of your ear canal. This means much greater comfort since it becomes a perfect fitting earplug. It will never hurt to insert or remove the earplugs, nor will they ever fall out or expand to the point they come out of place (a very common problem for people that use earplugs). Decibullz supplies a kit for you to create your perfect molds. All you have to do is heat the thermoplastic molds provided in boiling water, and once it’s cooled; shape it to your ears. They have an excellent NRR of 31, they’re waterproof, and they’re reusable, so long as you keep them clean (simply wash them with warm water and soap). It’s no wonder these are the top pick! 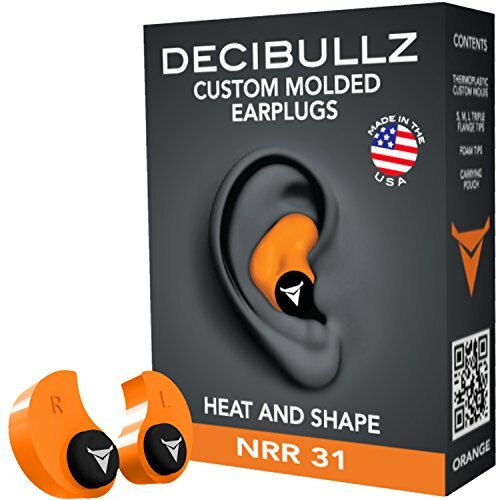 The Decibullz are also able to be re-molded if you don’t get the perfect fit the first time around. There’s also a range of colors for you to choose from, so you can personalize your plugs! It’s important to look after your hearing. Earplugs are a fantastic solution to consistent exposure to noisy environments. They’re also a fantastic way to ensure peace and quiet in your workplace, particularly if your job demands concentration and deep focus. 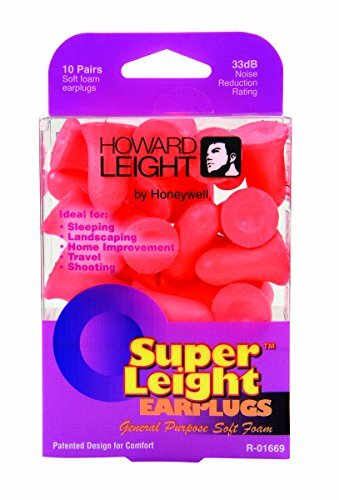 This list includes some of the highest quality earplugs available for a reasonable price. Try them out!